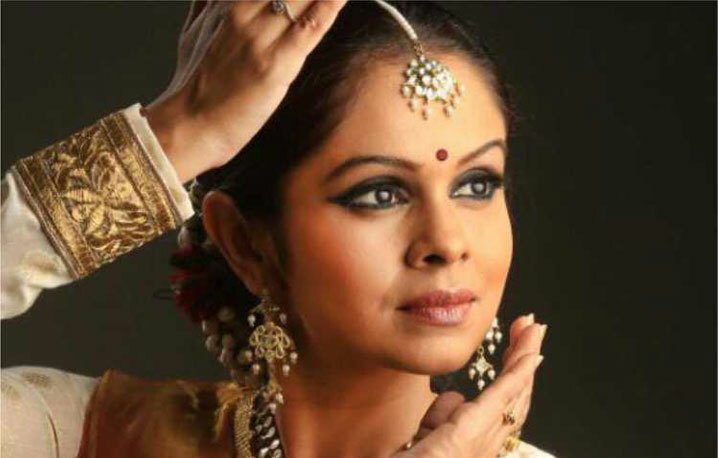 Dr. Poorva Shah, primarily a dermatologist from Pune, is a young and promising Kathak dancer creating a niche for herself in the realm of Indian Classical Dance. A student of Guru.Yogini Gandhi, she is currently also taking guidance from Pt. Birju Maharaj. She runs her private practice by the name of ‘Derma Centre’ and also on the faculty and a Consultant Dermatologist at The Ruby Hall Clinic, Pune. Dr. Shah has authored a chapter for the prestigious IADVL Textbook of Dermatology, used as a reference textbook by post graduate students and teachers alike across the country.She has also been presented with the ‘Rising Star Scholarship Award’ by the 23rd World Congress of Dermatology, held in Vancouver, Canada. Dance is one of the purest forms of expression. It is a beautiful melange of the human body, heart and mind that expresses itself in the most innocent form. Dance is an art wherein the dancer, no matter his/her age, embodies the fountain of youth. It embraces all old and young and discriminates against none. No matter how old you are, the grace and elegance that you exude through dance will never elude you. However, if you are professional performer, you have challenges to scale, and scale you can! Your body and more so, your skin, must complement and support your passion for dance. To maintain a youthful appearance and always be ‘performance-ready’, takes effort and is a combination of both external and internal factors. A dancer needs his/her skin as it represents the dancer’s art form. In my experience, I have observed that most people neglect their skin. Especially, if there is no presence of a skin disorder. Time and a busy schedule can be a constraint for most people. But for us dancers, our skin should definitely be one of our priorities. Especially our face, since it is one of the mediums of expression. Many dancers perform very frequently. Some, also tour frequently. Thus, it is important to protect the skin from the onslaught of numerous external factors like makeup, stage lights, physical stress of dance, long hours of rehearsals etc. It is paramount to keep stress at bay to be at your best on stage. As a professional Kathak Dancer as well as a Board Certified Consultant Dermatologist, I would like to throw some light on the importance of good and healthy skin for all, but especially for dancers. I cannot tire of stating how skin is of utmost significance. Even more important, is, that it receives the care it deserves. The first step to take is to have a consistent skin care regime. Following one diligently will ensure healthy and resilient skin. It’s never too early to start a good skincare regime. Waking up to skincare later is counter-productive since the damage is already done. Research shows that as early as in our 25, our skin’s two structural proteins, collagen and elastin begin to decrease. Thus, the key is to start early. Any skin care regime should be simple and basic. In your 20s, your skin is young and supple. There are no real issues; albeit the biggest issue is probably acne. As you move into your 30s and beyond, aging in the form of pigmentation, fine lines, laxity, lusterless skin, patchy or uneven complexion become a prime concern. Cleanse: The skin you had in your teens is not what you carry forward. It was acne prone and oily. So, you used harsh a face wash to wash away the oils. The same regime later (or now) will give you redness and irritation. Thus, it calls for a change in regime. -	Use a mild cleanser that is oil-free and paraben-free which has a milky consistency and need not lather. However, it should wipe away makeup and effects of pollution. It will not strip away oils from your skin; hence not leaving it extremely dry as opposed to a face wash available over the counter. -	In case if you still suffer from acne and continue to have oily skin, use a mild cleanser with salicylic acid, which will take care of the inflammation and oiliness. Besides, you must consult a dermatologist since it is a medical condition. Exfoliate: Exfoliate your skin once a month. Exfoliation will get rid of dead skin cells and add a glow. It helps in smoothening of the skin and fine lines and unclogs pores. It also helps skin products to penetrate better. Although, one should know how much to exfoliate, hence it is best to get an exfoliating procedure once a month from a dermatologist. Moisturise: The key to supple looking skin is a well moisturised skin. Moisturisation is the key to long-lasting great skin. It replenishes your skin with essential oils and hydration factors and prevents the skin from looking dry and patchy. It also acts as a temporary barrier. Dancers should know that it is a great primer for makeup. Let your skin guide you to choose a suitable moisturiser. If you find one that feels heavy, you can move from a cream to a lotion. You may have to experiment. In case of oily skin, you can opt for thermal water spray which is the lightest moisturiser. Protect: Sunlight on your skin can create more damage than you can imagine. It is the reason for occurrence of pigmentation, fine lines and the overall ageing of the skin. The use of sunscreen regularly and consistently can delay aging to a great extent. -	It is a must to wear a sunscreen on all 365 days of the year. -	Whether it is cloudy or bright outside, always use a sunscreen between sunrise and sunset. - Using a good quality sunscreen with an SPF 15 or higher at all times is the key to shielding your skin from possible sun damage. Antioxidant Serum: Any age is a good age to start using an antioxidant serum. You may start with a basic one such as a Vitamin C serum in the morning after washing your face. It helps negate the harmful effects of pollution and ultraviolet rays. If you are in your 30s or above, you probably suffer from pigmentation and fine lines to some extent. It then becomes imperative to add to your night time routine. A basic anti-aging cream that contains retinol and hyaluronic acid helps smooth away fine lines and pigmentation and helps in the production of collagen. Skincare does not just begin and end at cleansing, moisturising and sun protection. What you eat and drink has a huge role to play in how your skin looks. Make sure you eat a lot of fresh fruits and raw veggies along with lean proteins. These foods contain a large amount of anti-oxidants, vitamins and minerals that helps combat aging. A daily intake of greens is great for your skin. You may also consider adding probiotics to your diet. Avoid processed and refined foods, especially sugar. They make you lethargic and lead to premature aging. Exercise keeps your skin taut and young. It works miracles in reversing aging. Research says, moderate to rigorous exercise for 3 hours a week (i.e. less than 30 mins a day) can make an older individual look 20 years younger. Exercise is free. As dance is already a great form of exercise, we dancers have a one up. However, you may think of adding other forms of exercise. Water; any dancer worth his/her salt understands the importance of this very basic element. Water is the best way to care for your skin. Constant hydration of the body is needed to keep up with the rehearsal and performance schedule. Dancers need to consume enough water as they sweat amply during rehearsals. This also helps in flushing out toxins. The result is healthy and glowing skin. As dancers, we are exposed to frequent makeup. Thus, it is dreaded for being the number one cause in skin damage. I believe makeup is used to highlight, not hide. If done judiciously and with a scientific approach, there is no need to fear makeup out of the extensive damage to your skin. The key lies in knowing how to handle the onslaught of constant makeup sessions. The following care can be taken in applying makeup to sustain your skin during performance season. - I recommend that your makeup regime begins a night earlier. Apply a good amount of moisturiser the night before. Although like I mentioned earlier, if you have a consistent moisturising regime, it will be no problem. - Always wash your face before you begin with your makeup. - A primer is any product that preps the skin and evens and smoothens it for the application of foundation. - Although there are specific primers available in the market, in case you have sensitive or oily skin, your everyday moisturiser, used in a little excess, can be a great primer. Remember to apply the moisturiser within the first 2 minutes of washing your face. - A base is the first and foremost step in a makeup session. Foundation helps to even out complexion, offers coverage and makes your skin flawless. Needless to say, find a shade that blends with your skin tone and is definitely not lighter. - In case you have oily skin, a mineral based foundation and pressed powder is suitable. For more coverage, you may use a foundation with a wet sponge. Mousse and whipped foundations are great too. - In case you have dry skin, cream, liquid or stick foundations work great. But ensure that your skin is extremely well moisturised before, to avoid the foundation from looking patchy. Dancers are constantly exposed to different lights while performing on stage. Some of these lights like Par Cans, Halogens and LED emit UVA & UVB rays with a spectral range between 100-400 nm. Thus, an abundant use of foundation acts a barrier and helps protect from the UV exposure. In case of excessively oily skin, it is important to use a translucent powder followed by a makeup setting spray to keep your makeup from sweating off during performance. - Eye makeup products are developed to pose a minimal risk of allergy or irritation. Thus, it is rare to react to eye makeup. Make sure the area around the eyes is well moisturised. A specific primer for eyelids may be used. This helps in adding a protective barrier and allows for smooth application of eye makeup products. Also, lesser amount of eye shadow is needed not bring out the colours. - Eye shadows have a high content of pigment (zinc oxide & titanium oxide) which can make them irritating. (Hence, the use of a primer will help.) Using a gel liner or gel mascara will be less irritating when applied and during removal as they contain waxes and gelling agent. - In the rare occurrence of an allergy to eye makeup, make sure it is within the date of expiry. If yes, then avoid using it and consult your dermatologist. - It is important to give equal attention to your lips as your face as your lips are fragile. Moisturise and protect it. Licking our lips constantly results in stripping away of moisture. Use a nourishing lip balm with a minimum SPF of 15 as a base before applying lip colour. It will also help protect the lips. - Alternatively, you can also start with a lip primer or foundation to give it something to adhere to. Using a translucent loose powder in between coats of lipstick also helps it stay longer. Makeup Removal: Makeup removal is the ultimate yet the most significant step in a makeup regime. - While removing makeup, work backwards. Remove the eye makeup first. Use an alcohol free cleanser, specifically for eye makeup. There are many brands and compositions available. You may also use a basic petroleum jelly. But ensure that it does not enter the eye as it may lead to infections. - Avoid using a general toner or cleanser to remove your eye makeup since they are too harsh on your eyes and can lead to irritation and allergy, leaving the skin sensitive, making it difficult to apply makeup the next time. (Your skin will experience irritation the next time.) Most allergies occur due to wrong removal of makeup rather than makeup itself. - Always keep your eyes closed while applying eye makeup. The fibres from the cotton may enter your eyes and cause abrasion, congestion and irritation. - Soak the cotton pad with the remover and gently press it down on your eyelid. Hold for 5-10 seconds and let the eye makeup come in contact with the remover. This will enable the remover to cut through the pigment in the makeup product, resulting in a clean removal in one swipe. You may have to repeat it 1-2 times. However, this method reduces the number of swipes needed and the friction caused due to it. - Use a fresh side of cotton pad each time you clean. - To take off the long lasting lipstick, you will have to exfoliate your lips first. For this, apply a layer of petroleum jelly and leave it on for a minute. After which, you can scrub it off with a thin washcloth. - Cream foundations are tougher to remove than liquid foundations since they contain mineral oil or wax. A basic baby oil is a great cleanser and is able to cut through especially the cream foundation. Massage some baby oil into your face and use a very thin & soft wash cloth to gently wipe off the oil along with the makeup. Following this, wash your face with a gentle cleanser and moisturise immediately. Tress stress! The achilles heel of every dancer. With the number of styling tools, that employ heat and chemicals, a dancer’s hair is frequently exposed to numerous stresses. Although it cannot be avoided due to performance demands, it can be mitigated by using the techniques correctly. - Just like makeup, using hair products for those sleek hair-dos for performances is inevitable. Always use good quality hair products. - Hair sprays are commonly used. Always spray at a distance of 8-12 inches for better and even coverage. Select a non-fragrant spray. Make sure not to let any spray product linger on your forehead that may inadvertently be hit. In order to avoid this, before a performance, get your hair done first and wipe your face off before applying makeup. - Use a gel along with a spray for a better hold. - A dry shampoo is a good option to use in case of time constraints due to rehearsals and shows. They will clean your hair and make it look fresh without the hassle of washing it. - As a tip, don't wash your hair a day or two before the performance. That way, it is easier to style and keep it in place. Why Back Combing may mar your hair? Most dancers are smitten by back combing for the fabulous results they show on the hair. Back combing is a technique where in the strands of hair are lifted and combed against the grain in the opposite direction. It is popular as it lends volume to the hair. But it comes with a price. In the long run, back combing will essentially damage your hair. The action of dragging your comb backwards against the hair weakens it and makes it brittle. In this technique, the cuticle, the outermost part of the hair adding a layer of protection, is disturbed. This results in the hair shaft being damaged. Eventually, the hair weakens to a point where it undergoes frequent breakage. Not to forget, the dreadful split ends. Hence, a leave-in conditioner is necessary, both before and after back combing, to coat your hair. It is also protective and adds lustre. Listen to your skin. Pay attention to its needs. As dancers, aiming for a consistent and performance-ready skin is a lot of work. Investing in the same helps in the long-term. I believe, for any dancer, his/her Riyaz is the best way to keep the skin glowing. The hours spent in practising the dance forms and sweating it out, and the joy it fills you up with, will lend you a glow that nothing else can. If you are passionate and wish to run the dance game well into your 60s, then delay your skin’s aging process. Make your dermatologist your best friend who will help you achieve your skin goals and enable you to wear a youthful appearance for a long time. This will ensure that age can never be a barrier. With a well-maintained skin, it will never be a factor that determines your time in the dance circuit and you can perform for as long as you wish.